Poster printing guidelines, design basics and a few "How To's" using PowerPoint & Publisher. __ File attached to email. The following are included in the body of the email . . .
__ Type of paper on which I want my poster printed (Glossy or Plain). __ Date I need to pick up my poster. 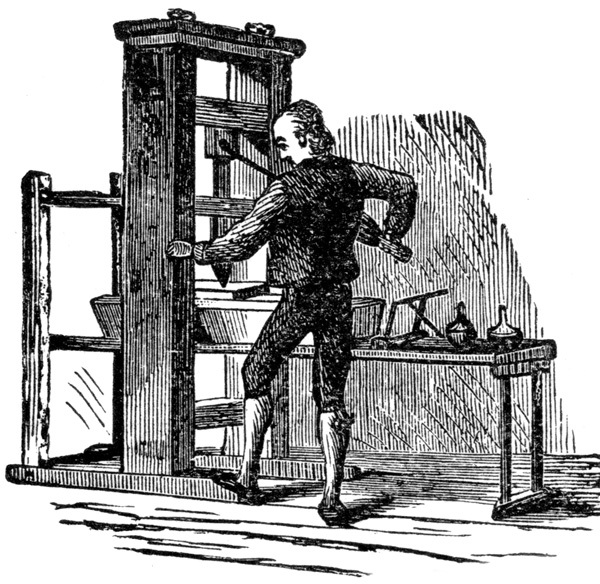 STAFF AND FACULTY NOTE: If you are printing something for your department please include in the email message the name of the department & the account # that should be charged for your print job. Our hours vary during breaks and the summer! Please follow the link below to see our special hours during those times of the year. Contact the IMC If you are using a different program than the ones listed above so that you can verify that we have the ability open and print the file. How will this Poster Printing guide help me? The purpose of this guide is threefold. 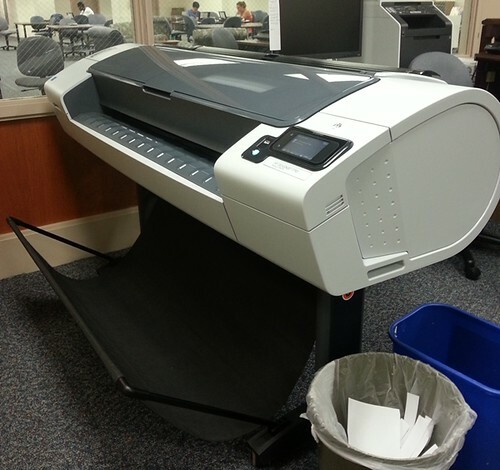 Make the process of printing your poster at the WCU Instructional Media Center as easy and trouble free as possible. Provide you with the resources to plan for & make an interesting, well-designed poster that people will want to read. 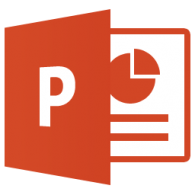 Have a step-by-step "how to" for making a poster using either PowerPoint or Publisher. How can I get my poster printed? We require a minimum of 72 hours notice for print jobs. Jobs submitted for deadlines shorter than this cannot be guaranteed. For more information see What happens after I email my poster? Posters are printed from rolls of paper 24", 36" or 42" wide. If you want to avoid trimming your poster use 24", 36" or 42" as either the height or width. ie: 18" x 24", 42" x 56", 36" x 48"
We can print files from a number of different programs. There will be no free reprints if errors in formatting or typos are discovered post-printing. You are responsible for the formatting and content of your poster. Library Staff cannot be responsible for editing your work or formatting the poster. Set the poster size before you begin designing your poster. Changing the poster size once the file has been formatted causes changes in the proportions of your text and graphics. Go to the PowerPoint or Publisher directions on the Design page for more information. All printing must be paid for at the time you pick up your poster. We accept cash, check, credit/debit or Ram Bucks as payment. What happens after I email my poster to the IMC? The IMC does not offer poster printing services on Saturdays. If you submit your poster after 4pm on Friday no one will see your email until noon on Sunday (During Summer sessions there are no poster printing services Saturday or Sunday). The IMC staff will email you to confirm that we have received your poster. If you do not receive an email confirmation within 24 hours of submitting Sun - Fri then please call 610-436-3395 to confirm receipt. We then check that the poster you submitted matches the size you requested and is in a format which we can print. If we find a problem we may call or email you. Please keep an eye on your email. Within 3 business days we will print your poster and contact you (via email) once your order is complete. You may pick up your poster during the IMC hours of operation once you receive our email. *Pricing may vary should a poster use excessive color (ie: posters requiring large amounts of ink). All printing must be paid for at the time you pick up your poster. The IMC accepts cash orRam Bucks as payment. We require 72 hours (or three business days) notice for print jobs. Jobs submitted for deadlines shorter than this cannot be guaranteed. You must set the poster size within the program before you begin designing your poster (See the "How to" tab above for more detailed information). 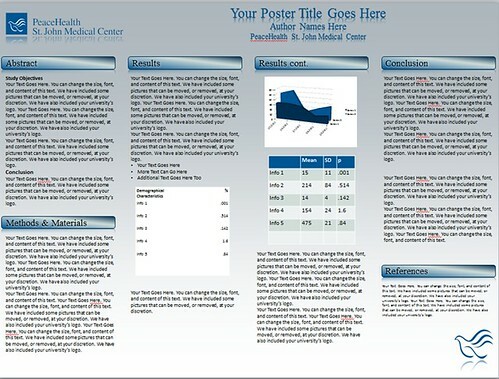 Changing the poster size once the file has been formatted causes changes in the proportions of your text and graphics.